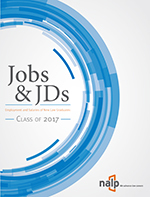 Law Firm Jobs Taken by New Graduates - Class of 2001 (NALP Bulletin, April 2003) — NALP's employment data for the Class of 2001 show that more than half (57.8%) of employed graduates took jobs in law firms. A comparison of minorities and non-minorities taking law firm jobs reveals that minorities as a whole are more likely to obtain their law firm job in one of the 20 largest cities than are non-minorities. Geographic Analysis of Law Firm Hiring - Class of 2001 (NALP Bulletin, November 2002) — NALP's annual Jobs & J.D. 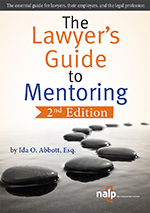 's report provides many analyses that demonstrate the diversity of the law firm employment market for new law graduates. 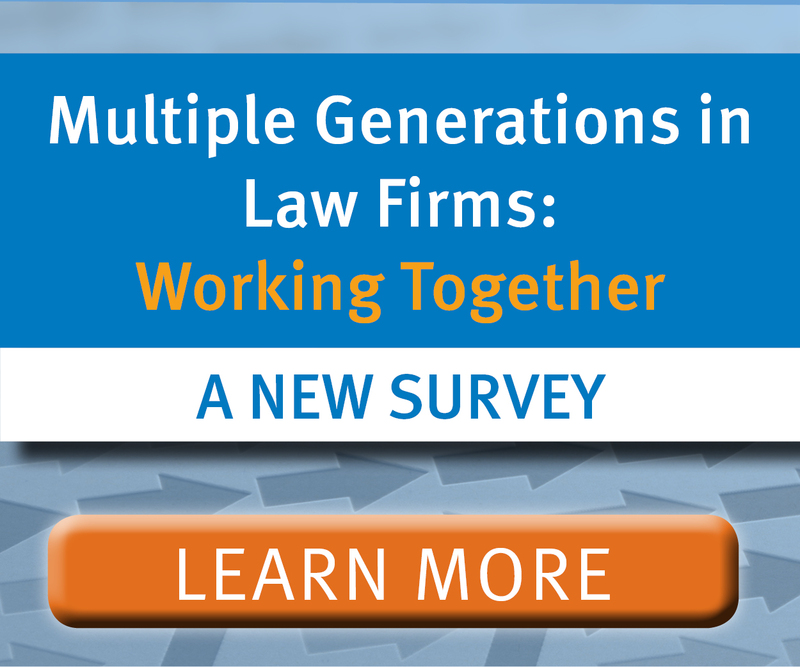 The analyses here offer additional insights into the geographic "reach" of law firm hiring in 12 large cities. Trends in Law Firm Jobs — Classes of 1982-2001 (NALP Bulletin, October 2002) — In the last two years, the percentage of jobs taken in the largest firms equaled or exceeded that of jobs taken in the two smallest categories — 2-10 and 11-25 — combined. Employment of New Law Graduates Remains Relatively Strong Despite Small Downturn (July 24, 2002 Press Release) — NALP's 28th consecutive report on the experiences of new law graduates documents the first decrease in the employment rate of new law graduates since 1993, with a figure of 90% of graduates for whom employment status was known. This compares with a figure of 91.5% for the prior year, and is evidence of the effect of the general economic downturn on the employment market for new law school graduates. Employment Trends, 1985-2001 (NALP Bulletin, June 2002) — Employment trends for new law graduates for the 17-year period from 1985-2001.